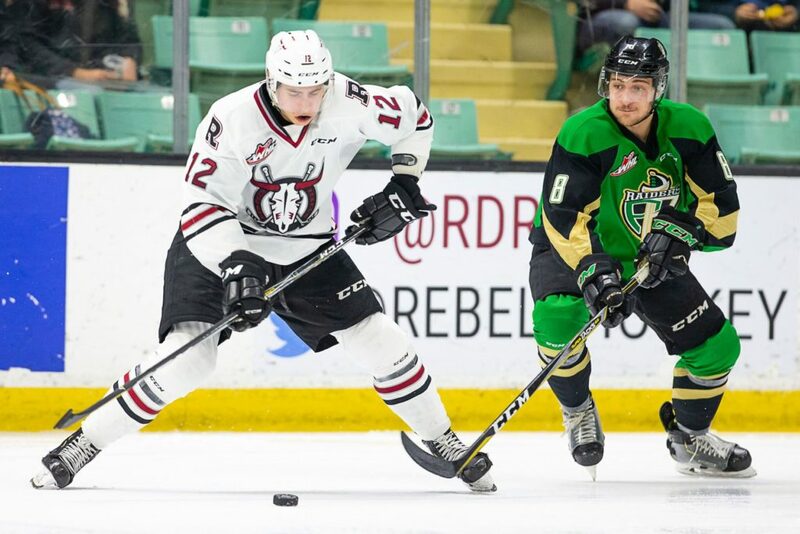 A more spirited performance in Game 4 couldn’t get the Red Deer Rebels to Game 5. 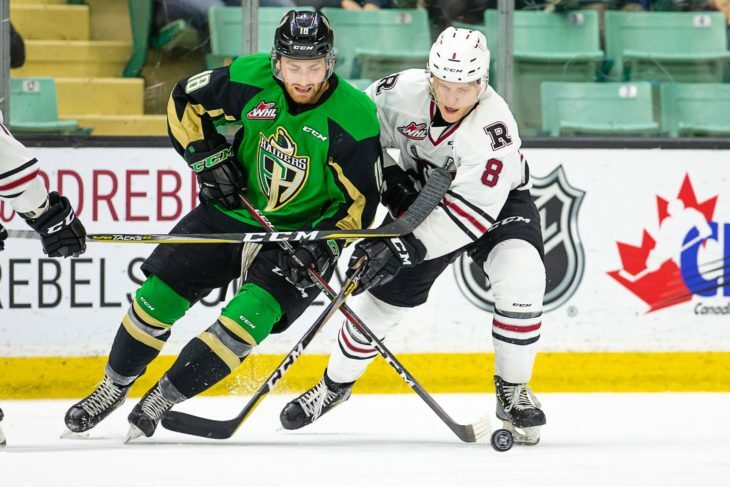 The Rebels showed more drive and determination Wednesday than was the case the night before in a 4-2 loss to the Prince Albert Raiders, but in the end the visitors were just too much to handle and skated off with a 4-1 win before 3,908 fans at the Centrium. 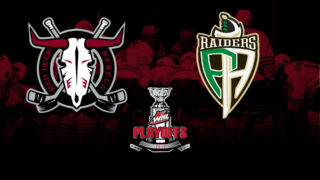 The Raiders swept the best-of-seven WHL Eastern Conference quarter-final and will meet the Saskatoon Blades in the next round. 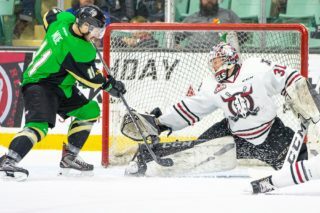 Prince Albert, the WHL’s regular-season champs and the second-ranked team in the Canadian Hockey League, was heavily favoured to advance and were the better club throughout the series. For the Rebels, it’s over and out. 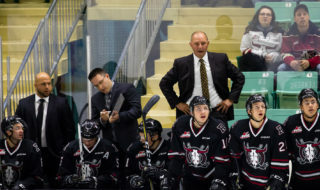 “There’s no consolation in losing,” said Red Deer GM/head coach Brent Sutter. “It’s obviously a very good team we were playing and I would have certainly liked a better match-up in the first round if we could have been a better hockey team from Christmas on. 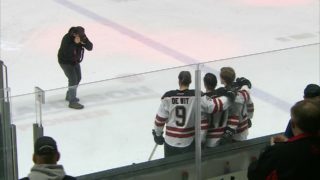 The Rebels grabbed their lone lead of the series when Jeff de Wit, from low in the left circle, buried a rink-wide feed from Brandon Hagel with four seconds left in the first period. The Raiders pulled even midway through the second period with Ozzy Wiesblatt scoring directly off a face-off in the Rebels end. Prior to the faceoff, Sutter was incensed that he wasn’t allowed to change lines while the Raiders switched their defensive pairing. “What I was upset about is there’s a reason you have home-ice advantage. It’s all about match-ups, not so much about your forward groups and more about being matched up against their defence group,” he said. “They changed their two D and he (referee Brett Iverson) had his hand up in the air meaning they can’t change after that and we’re allowed to have a line change. “Their two other D slipped out when Hages’ (Brandon Hagel’s) line came on and then he wouldn’t let us make another line change. It was a bad mistake on his part and an experienced ref can’t make mistakes like that any time, let alone in playoffs. And the puck ends up in the back of your net. “I’m not saying that’s the reason but you don’t get the match-up at that time. I wanted a different match-up, a different line on the ice. To me it’s a bad mistake by the ref and that shouldn’t ever happen. He came over and apologized at the start of the (third) period, but that’s not good enough. The game was deadlocked 1-1 after 40 minutes but the Raiders took over in the third. Brett Leason, back from serving a one-game suspension for a hit-from-behind major penalty he was assessed in Game 2, scored the eventual winner 58 seconds into the final frame, poking home a loose puck in the crease. Leason followed with a power-play tally 11 minutes later, roofing a backhand from close range, and Cole Fonstad scored into an empty net with under four minutes left, taking advantage of a lucky bounce. “Last night we weren’t very good at all and tonight, for two periods, we were there,” said Sutter. “The third period, three goals against you, and that kind of summed up what we were as a team from Christmas on with the type of mistakes we made. Ian Scott stopped 21 shots for the Raiders and Ethan Anders, for a second straight game, was outstanding in the Rebels net with a 31-save outing. 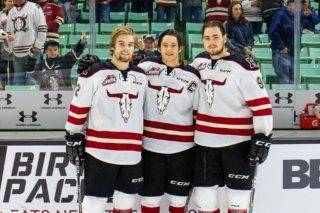 Red Deer’s graduating players — Hagel, de Wit and captain Reese Johnson — were saluted as the game’s three stars. “I was proud of our three 20-year-olds. I was proud of Jeff, proud of Hages, proud of Johny,” said Sutter. “They’ve been warriors for us throughout the whole year, they’re great leaders. When you think back to the start of the season and where we’re at today, you can say all three of them had a great year.